How does a random Tamagachi game coming out before Gen VIII imply anything about whether we will or will not get a new evolution of Eevee in Gen VIII? Because it said on the toy's label that Eevee can evolve into a brand new undiscovered form. It's pretty much a tradition. Every even-numbered generation of Pokemon has introduced at least one new Eeveelution. I'd say coincidental only because Eevee debuted on an odd generation, and that can't be said "it's an exception." That has nothing to do with the Tamagotchi. It says a new form, not a new evolution. This "new form" is likely the "Team Rocket Eevee," "Ditto Eevee," or some other variant like those, that was mentioned in Serebii's post about the product. Not that I think we won't get a new Eevee evolution, but this is not an indication for or against it. Also this could mean there might nt be a new Eeveelution in Gen 8. I'm assuming the "nt" was a typoed "not." You didn't even imply in your statement that the Tamagotchi was what you were mainly talking about. It’s just great that it could have a possible new Eeveelution in the Tamagotchi. I’ve been wondering for a while what it is. You might want to reread my original comment. I did exactly that. It sounded like the main thing you were talking about was the possibility of a new Eeveelution. I asked how a Tamagotchi has anything to do with a new Eevee evolution. I fail to see why that's so confusing. Is this the first time Tamogachi has used a character that wasn’t their own? I think it’s the first time a third party character has been used for Tamagotchi. And in this case it’s a Pokémon. 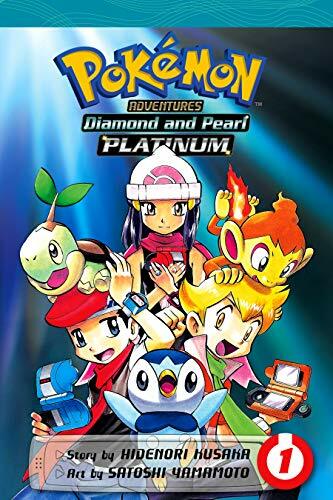 To the Sinnoh and Pokemon Adventures fans, today on November 27th, Pokemon Adventures - Diamond and Pearl Chapter + Platinum Chapter will be released DIGITALLY sometime today on these devices, with links attached to them. Welcome to the region of Sinnoh, a somewhat colder region divided by Mt. Coronet. It is here that two young boys who dream of being Pokemon comedians end up being mistaken for the bodyguards of Platinum, the daughter of the wealthy Berlitz Family. 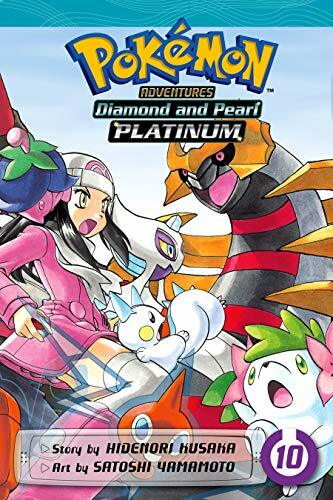 Platinum is a young girl who is excited and eager to learn about the world of Pokemon as her two "bodyguards" teach and support her what it means to be a Pokemon trainer. As Platinum challenges the eight Gym Leaders of Sinnoh, they encounter the mysterious Team Galactic whose leader seeks something beyond their imaginations. So to sum it up. It's newbie-friendly, meaning you don't have to read past story arcs to enjoy this stand-alone story. If your a huge anime fan of Ash & Co, I definitely recommend you check this out as Diamond and Pearl is noted for it's charming action-packed story full of humor, adventure and of course friendship. It is also one of the few story arcs that actually features all three protagonists traveling together as a travelling group throughout the majority of the story. From this, you will see arguably the best character dynamics the Pokemon series has to offer. So I'm not sure if this applies to Poketubers or those who are interested in doing there own Poketuber thing but for those who haven't heard the Nintendo Creators Program is dead. Nintendo just announced they are putting an end to the program soon. There's a chance that this trend will end. You have a good point, but I don't think it'll be any time soon. There are still ten types that don't have Eeveelutions. Not saying they will break the trend, but the only reason they've been pushing Eevee is because of Let's Go Eevee. Once we're past Let's Go's prime, Eevee's probably going to be just as relevant as it was before. Which, of course was pretty relevant, it just won't benefit from Pokémon Company's heavy marketing anymore. Zipper4242 Bewear is the most powerful being in the universe. I can see them putting a DLC patch that puts in data for a new Eeveelution in Let’s Go. Not only will it make a ton of hype, which means sales, but it will be another one of those hints at the next generation that they always do. Bewear can do anything, and by that, even open Wormholes at will. Seriously, the Tapus are summoning the wrong legendary to open the Ultra Wormhole. Solgaleo who? They should be summoning Bewear to open the Wormhole. Bewear is too strong to be a regular Totem lol. I think it should be like a secret boss, where after Ash completes the Island Challenge, Bewear is the true final challenge in Alola. Bewear will never leave. Bewear was. Bewear is. Bewear will always be. There is no good or evil. There is only Bewear. Watch Ash lose to Bewear in the league. No trainer, just Bewear. Calling it now (7/11/18): Ash will win the Alola League (and bring back his reserves as well for it)!!! If there’s a new Eevee evolution coming, they’ll want their hype and sales to be focused on Generation VIII. Zero reason for them to say “you can get this shiny new form for free in a game you already have.” They have a relative minimum to gain by patching it in to LGP/E, and that’s independent of the fact that, among other issues, they probably can’t do that, since they would have to patch in the new evolution means as well. And all of this in a franchise that has never once patched in a new forme or evolution, even when possible. In addition to what BCVM22 said, I think that Game Freak has made it abundantly clear that they have no interest in putting new Pokémon into games via patches and DLC. And really, how does it make any sense to put a new DLC Eevee evolution in now, after the game releases. Why not have it in the base game? That's what would have gotten people excited. And then, there's the issue with what purpose a new Eevee evolution would even serve in Let's Go. Eevee is a major Pokémon Let's Go due to it being a starter, but that said starter cannot evolve. It would be counter-intuitive to make a new Eevee evolution in a game who's primary focus on Eevee is on one that can't evolve. I see your points and I realize that I was wrong, your arguments make a lot more sense. Thank you for correcting me !